Huawei introduced a new smartphone, titled Nova Lite 3, in the Japanese market. Launched at a price tag of JPY 26,880 (Rs 17,500 approx. ), Nova Lite 3 bears the same specifications as Huawei P Smart (launched in December last year) except for the storage capacity. 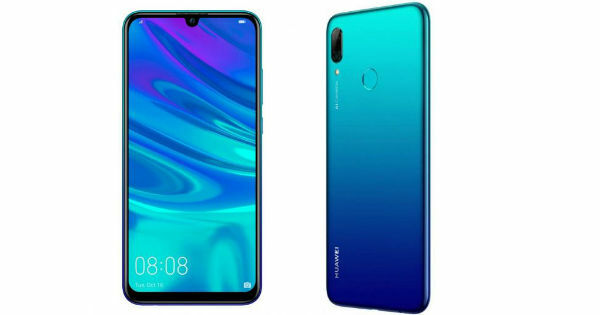 There’s no information regarding its release in other markets including India, but in Japan it is currently listed on the official Huawei website in Coral Red, Aurora Blue, and Midnight Black colour variants. The Huawei Nova Lite 3 is powered by 6.21-inch full-HD+ (1,080 x 2,340 pixels) display with 19.5:9 aspect ratio. It runs Android 9.0 Pie out of the box, with Huawei’s EMUI 9.0 interface layered on top. The smartphone is powered by Huawei’s in-house Kirin 710 octa-core processor coupled with 3GB RAM and 32GB internal storage. Coming to the camera, Huawei Nova Lite 3 sports a dual-lens setup at the back with a 13-megapixel primary sensor and a 2-megapixel secondary sensor with PDAF, AI Scene Recognition, Portrait Mode, and LED flash. On the front, it gets an 8-megapixel single shooter. It packs a 3,400mAh battery that, according to Huawei, can last 96 hours of music playback, 18 hours of video playback, or 10 hours of internet browsing on 4G networks. Lastly the connectivity options include dual SIM, WiFi 802.11 b/g/n, Bluetooth 4.2, Micro-USB 2.0.